This year the Jumeirah Golf Estates in Dubai hosts the final of the European Tour, the fourth and final round of the controversial Final Series, with this tournament closes a season with 46 tournaments played and visited 25 countries around the globe. Henrik Stenson is the number one of the Order of Merit currently has over 2.3 million euros accumulated. 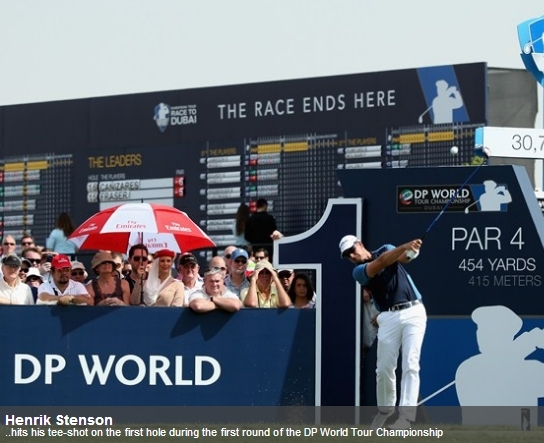 It is followed by Justin Rose and Graeme McDowell 2,165,727 with 2,057,395. Ian Poulter is the fourth player to over two million euros, 2,035,289. The event delivers 8 million euros of which more than a million to the winner. Besides the top ten players will share a bonus of $ 3.5 million.